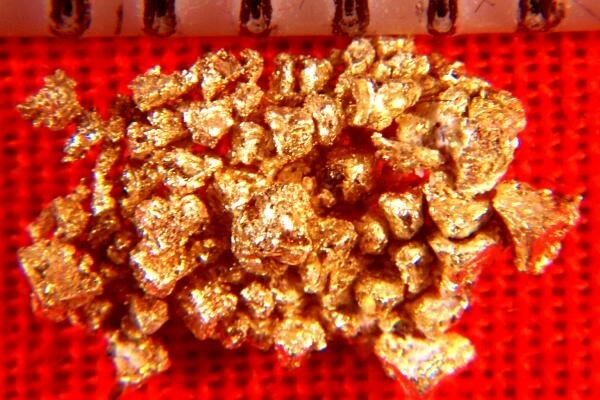 This is a stunning natural wire gold specimen from the Round Mountain Mine in Nevada. On one side it shows a mass of elongated octahedrons. The other side shows thin intricate natural gold wires. This gold specimen is extraordinary. The crystal details are best seen under magnification, where they are truly amazing. 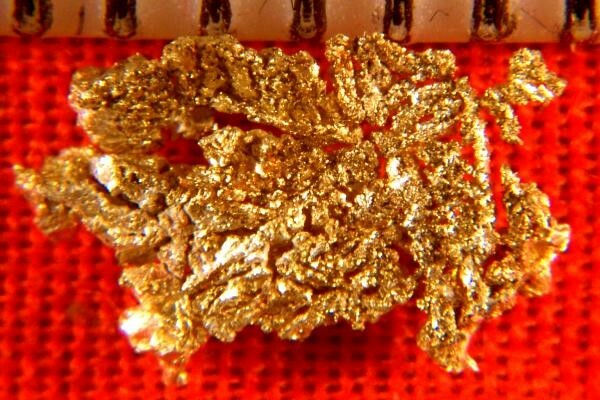 This beautiful gold specimen is 3/8" (9 mm) long and weighs in at 4.9 Grains (0.32 Gram). It comes in a plastic gem jar for protection and display.